I don't have any idea what I'm looking at, but I like it. There's something about the lighting that I really like. The black lava material with it's glowing red stripes is the only thing that throws me, as I have never seen a perfectly black stone. Can you change the color of the black to maybe dark brown, anything, just to give us the shape of the model under the texture, as now all model contours are lost. You kept the ambient channel well at bay, which is what I think I like about the lighting. Very dramatic image. Stark and bold. As Rashad says, it's hard to see what's actually going on in this image. The lava really glows though. I don't know if it is the case, but well done if you have crafted those monsters out of metaspheres - since I know from experiance they are difficult to use. Thx for the advice. 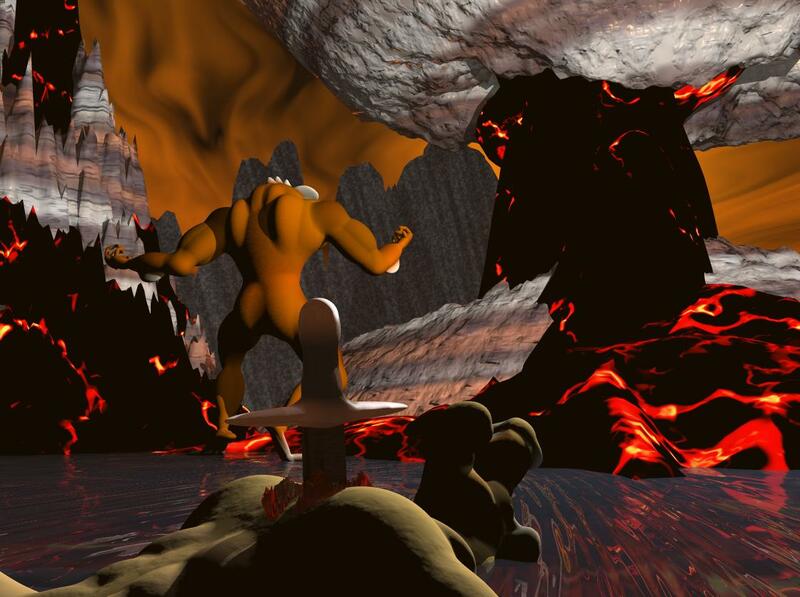 I agree with rash that the lava texture needs work. To answer david, the monsters are made completely with metaballs.